This pub was chosen for inclusion by the Londonist editorial team. 'You'll like this pub', we said. 'It has a real community feel.' Our friends queried: What, exactly, is a community feel? 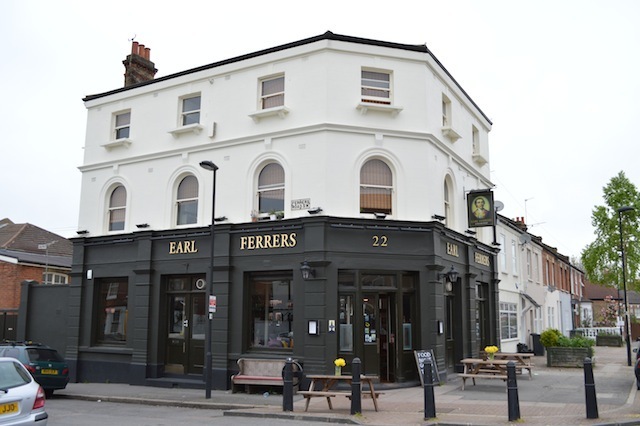 They soon found out courtesy of the Earl Ferrers, a terrific little pub that really does pull in people of all ages and flavours. 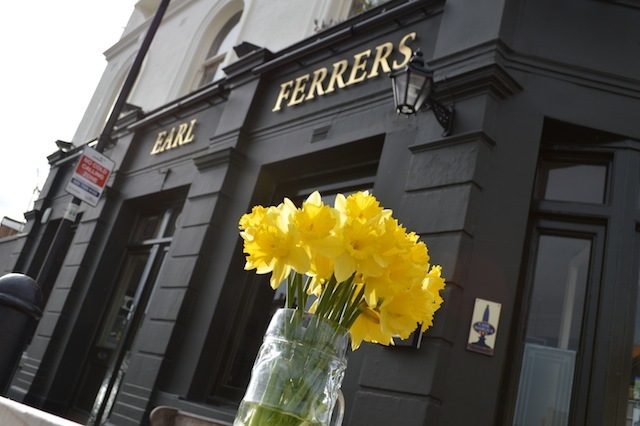 In fact, we love this place so much that your present author included it in a list of 10 best London pubs for the Guardian. It's not hard to pin down just why it works so well. A combination of diminutive size and laid-back music certainly help build an atmosphere. Customers are at the centre of everything, from the community notice board to the open-DJ nights (Mondays), when you can hand your mp3 player to the staff for public playback. There's also a monthly 'community night' and craft night, plus a quiz (Wednesday). An alcove contains a pool table and dartboard, supplemented on the pub's website by games of pong and space invaders. Four or five ales can usually be found on tap, along with the usual wines and lagers. Unusually for a suburban corner pub, you'll also find a selection of cocktails. The food offering is also superb, with towering Sunday roasts a particular high point. If you live in Streatham then pat yourself on the back for living near the perfect local. 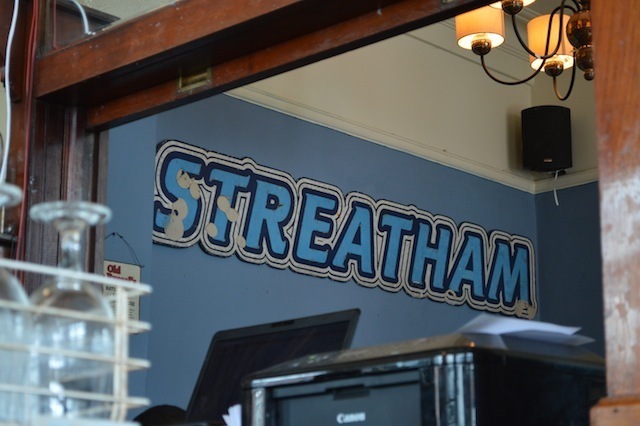 If you don't live in Streatham, have you considered moving? 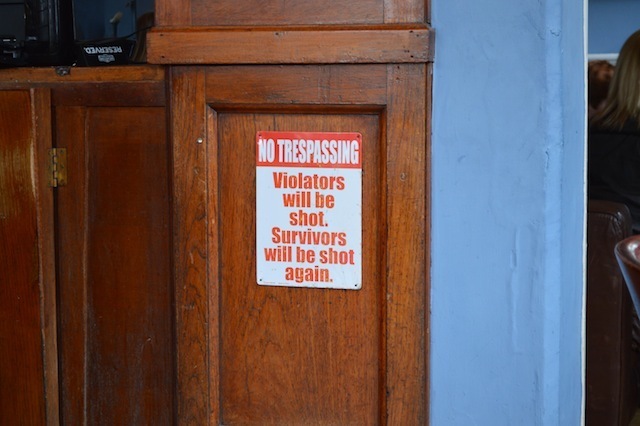 It's a friendly place, but whatever you do, DO NOT go behind the bar. Well, that's our 'stock image for the local area' sorted.